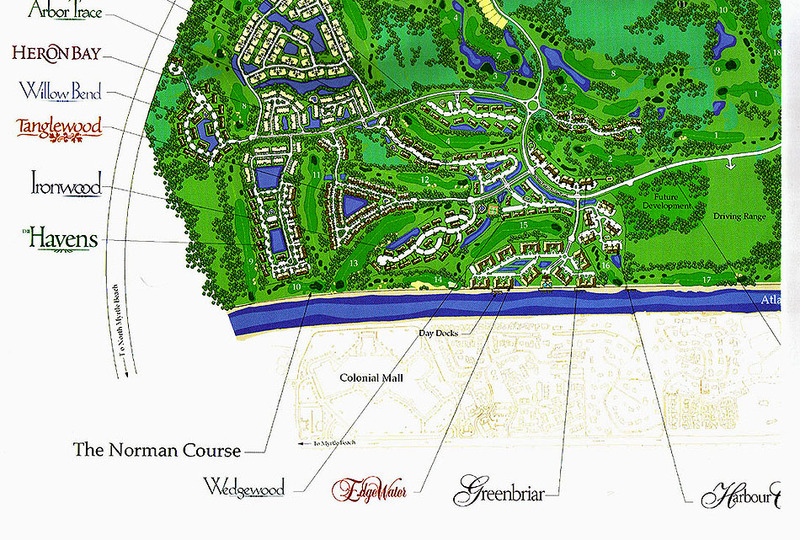 Once upon a time, 4 golf gurus got together and designed a 4-course masterpiece resort in North Myrtle Beach, SC. 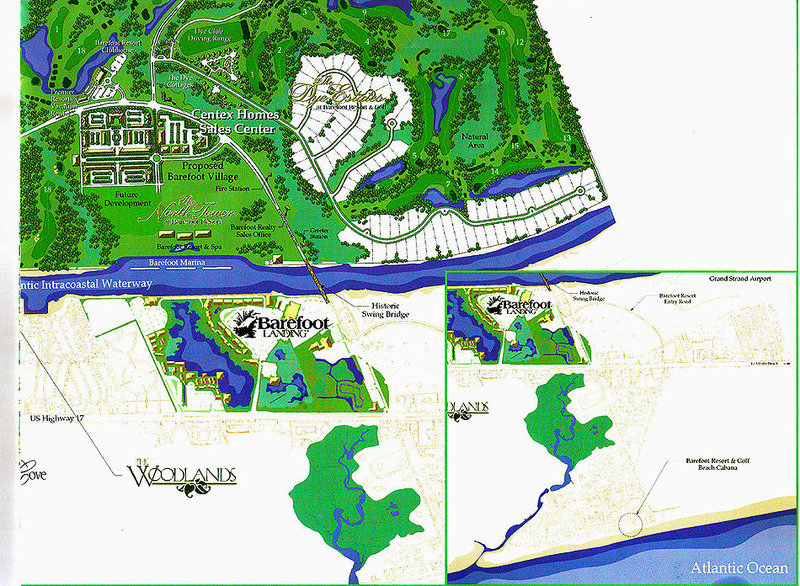 The architects, Greg Norman, Davis Love III, Tom Fazio, and Pete Dye succeeded in creating a community that wasn't based on the beach, but instead on rolling greens and the wonderful Intracoastal Waterway. 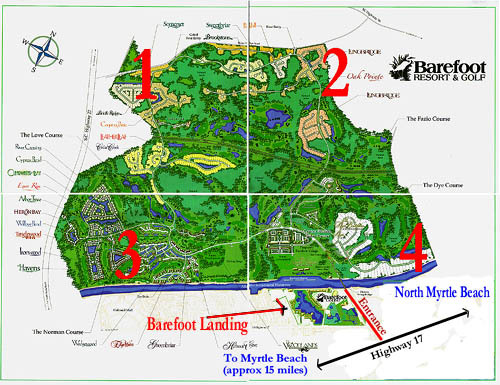 For the serious boaters and water-lovers, four towers of luxury condominiums known as the Yacht Club Villas introduce the resort, but the homes and townhomes blending seamlessly with the greens inside are the heart and soul of Barefoot Resort Myrtle Beach. 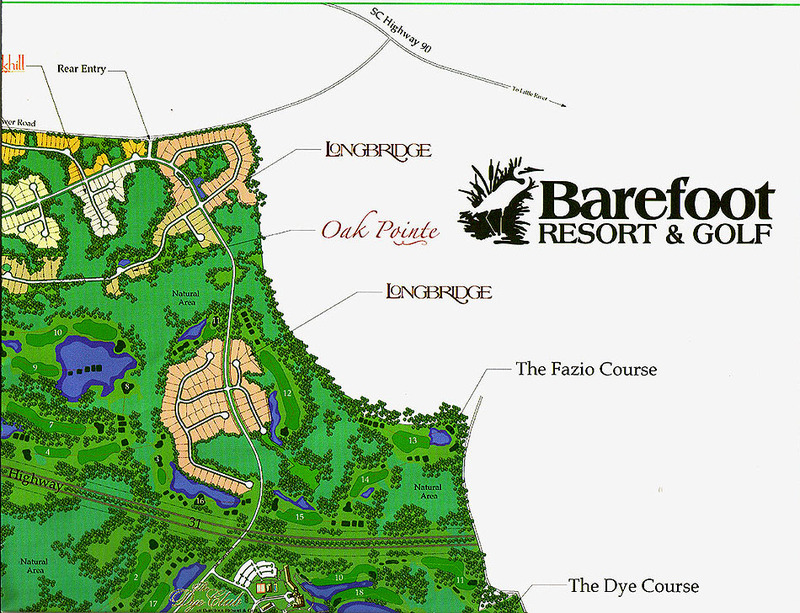 Barefoot Resort offers a retreat from the noise of traffic and bright lights for its residents. Ride through the neighborhoods and you will find a serene blending of every amenity, set in pristine lowcountry wetlands and lakes that one could only dream of. At the same time, there are hundreds of avid golfers who want to play and stay on the courses that were rated in Golf Digest's Best Places to Play. So investors can count on the homes and condos in Barefoot to bring in a rental income, while having a vacation home to use for themselves as well. And a golf cart will take them all to the wide white sands of windy Hill Beach in just minutes. This is truly one of the most fantastic places to live or vacation on the Grand Strand. Aside from each complex's own set of amenities, owners can optionally join the country club and use the Resident's Club, tennis courts, driving range, on-site bar and grill, and shuttle services. Some neighborhoods offer the option of purchasing a boat slip and using the private docks of the marina as well. 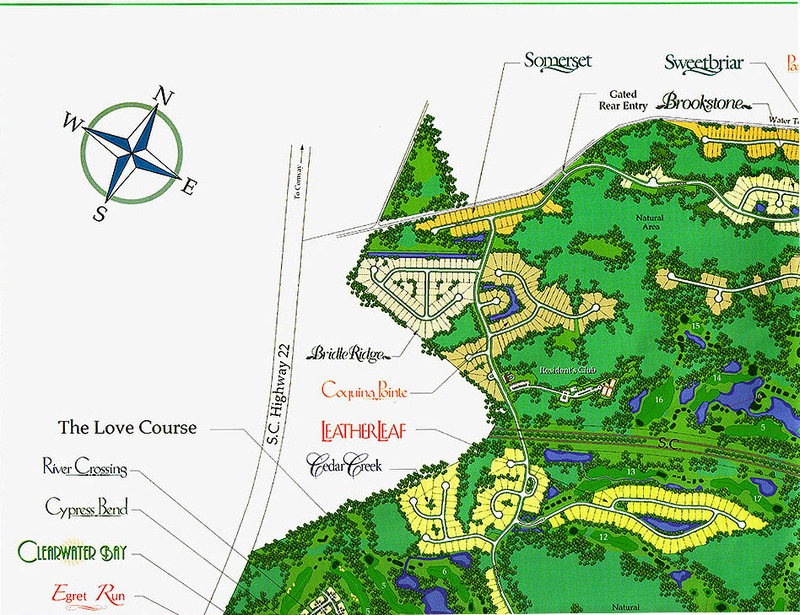 The Barefoot Resort Community has many neighborhoods of single-family homes as well as unique townhome complexes with spacious villas - perfect for income-producing golf rentals. Be sure to see all the Barefoot Resort Condos as well. Listing courtesy of Century 21 Barefoot Realty , Tom Staats. Listing courtesy of Realty ONE Group DocksideNorth , Jennifer Yodice.